We thank Dr. David Schwartzman & his team who researched consciousnesss using the meditation lamp Lucia N°03 in 2015. Dissociative phenomena are highly subjective states, disorders of consciousness with no clear organic cause and in many cases, few behavioral signs. ​This study aimed to identify an EEG signature for dissociative states, and for 4 sub-factors related to dissociative and altered consciousness type experiences. Resting alpha frequency-matched photic stimulation was used to successfully induce a temporary dissociative state in 23 healthy volunteers. 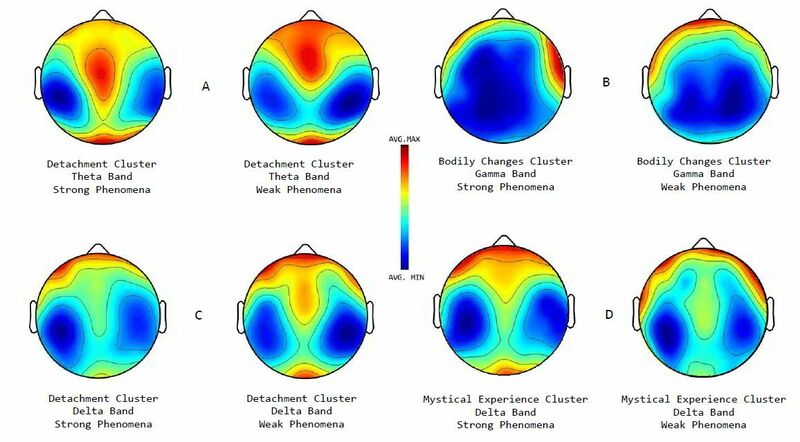 Phenomenological reports were taken using a range of scales and results were clustered into 4 groups of phenomena (detachment, somatosensory changes, mystical/religious experience, visual hallucination). Differences in functional connectivity and network efficiency were identified for each of these groups. Participants reported higher levels of dissociation and anomalous experience under alpha-matched photic stimulation. There were significant differences in both connectivity and power in the induced dissociative state. There were also notable differences in regional connectivity within clusters of sub-phenomena related to detachment and mystical experience. INTO THE LIGHT - Creativity through light. Students from the fields of Illustration, Photography, Character Design, Environmental Design and Transportation Design took part in a study lead by Prof. Ralph Buchner into the possibilities of inspiration and stimulation by the Lucia no.03. To understand the influence of the Lucia in more detail the students conducted sessions of various lengths and intensities using different programmes, documenting their experiences in words and sketches. Results showed greater clarity and creativity in their work.